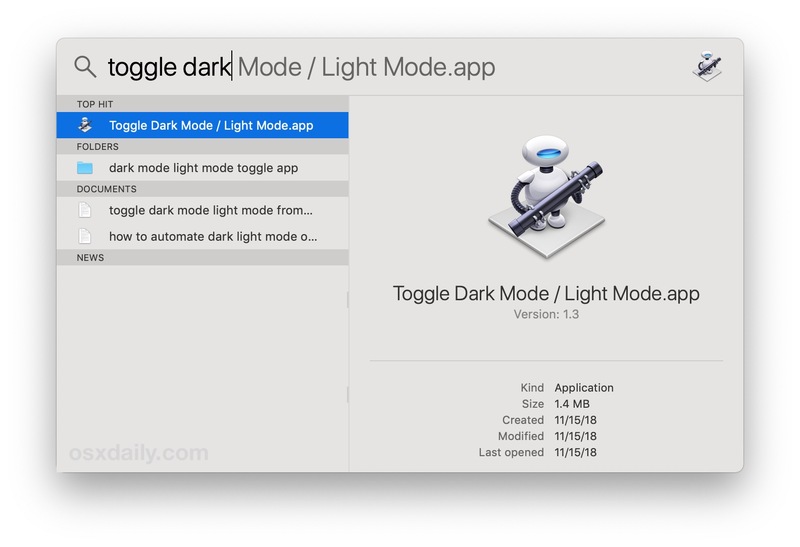 Do you want you to enable dark mode or light mode interface topics faster in Mac OS? Maybe you wish it was a keystroke to switch from dark or light mode to the Mac? 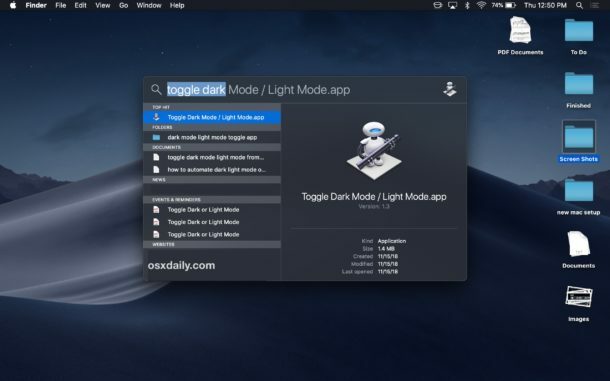 If you are tired of going over to System Preferences to make the change, you can use a nice trick to quickly switch between dark mode and light mode on Mac right from Spotlight, which effectively lets you switch interface themes completely from the keyboard. 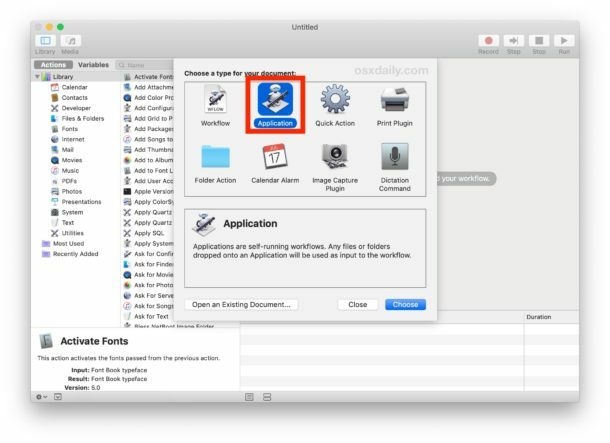 First, you need to create a simple Automator app that switches the Mac theme. 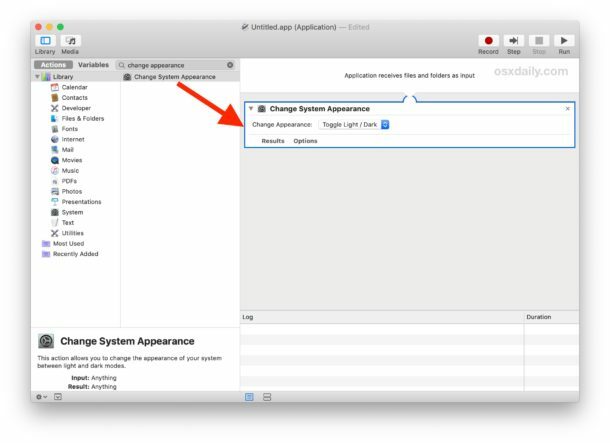 Note: If you followed our previous tutorial to automatically enable Dark Mode on a schedule, you can use the exact same Automator tool for this purpose and skip this section. 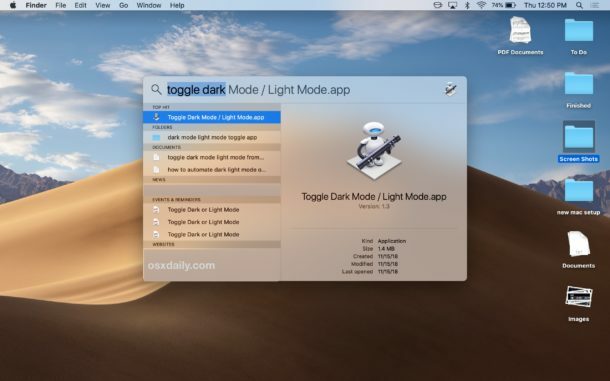 From the Automator options, select to create a new "Program"
That's it, now you're ready to use this simple Mac dark / light interface E theme switch from Spotlight. Any time you want to switch between Mac themes in dark mode and light mode, you can only open Spotlight with Command + Flour pocket, enter "Change light / dark" (or whatever you called the Automator app) and press return. The interface theme will immediately change. Repeat again to switch back. 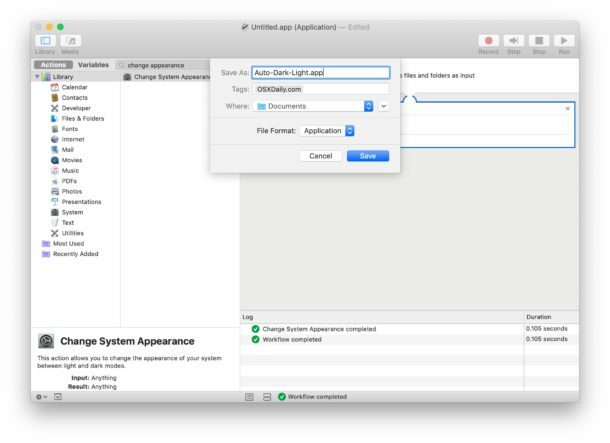 There are other options for getting in and out in dark mode, for example, you can schedule dark mode to turn on automatically on a Mac with Automator and Calendar app. Or you can always just activate the Mac Dark Mode theme or the Standard Light theme manually in System Preferences. Note that if you use the darker dark mode theme, you need to maintain the gray accent color scheme to switch between it and the light. Using the theme Dark Mode, it is great to work at night and dim lighting situations, so it's pretty nice to get in and out of it quickly.